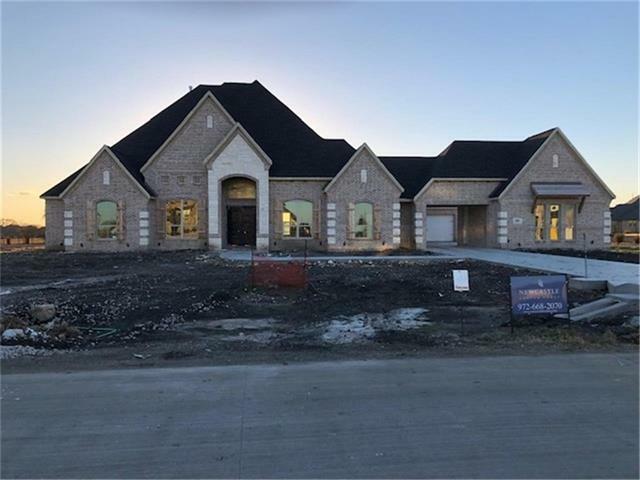 All Parker homes currently listed for sale in Parker as of 04/24/2019 are shown below. You can change the search criteria at any time by pressing the 'Change Search' button below. "DOWNSTAIRS MASTER. Resort living comes to Parker. Spectacular views of wildlife and nature from the grand entrance with 2 staircases. Perfect for larger families with an en suite bedroom upstairs separate from the other bedrooms. Well thought out layout with meticulous attention to detail. Move in ready with an 8 car garage, pool, putt putt course, sport court for tennis, basketball, volleyball, etc. Fish in the stocked pond, walk the creek, or just relax on the deck overlooking the beautifu"
"Gorgeous One Story M Christopher built home in prestigious Dublin Road neighborhood featuring gourmet kitchen, incredible Master Retreat with walk-in shower & exercise room. Opulent finishes including exotic granite, stained wood ceilings, arched walkways, decorative lighting. Resort style back yard with outdoor living area and built-in grill, sparkling pool & raised spa amidst serene country setting. 3 car split garage, gated motor-court & circle drive. Convenient to shopping and restaurants Do"
"Gorgeous custom home on over 2 acres in Parker with a great drive up appeal - Oversized 3 car garage with a shop or 2 car detached. 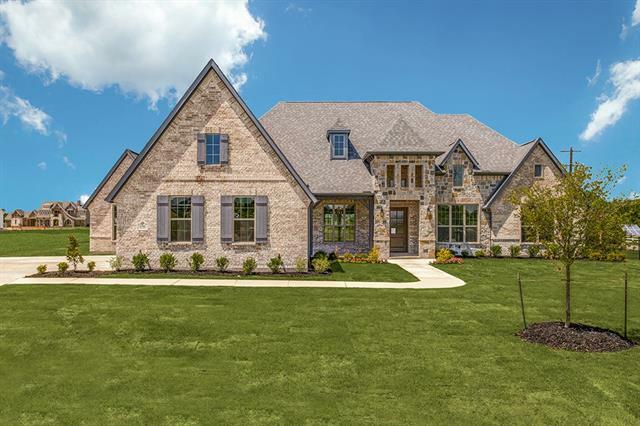 The Open entry greets you as soon as you walk in the double front doors to the beautiful staircase leading upstairs with handscraped wood floors throughout the entire house. Custom floor to ceiling fireplace in family room with a large Kitchen and island that's great for entertaining and a game room with its own half bath also used for the pool bath. Paradise await"
"Spectacular DOUBLE staircase entry on this 2 story, 5 bedroom home! Each bedroom has its own attached full bathroom and one of the bedrooms is a Junior Master suite. Situated on a 1 acre homesite, this home has a HUGE covered patio to enjoy this wonderful view. The family room opens to a very large kitchen and has sliding glass doors that opens to the patio. The garages total 4, but the 3 car side is very oversized. Large enough for a shop or golf cart." 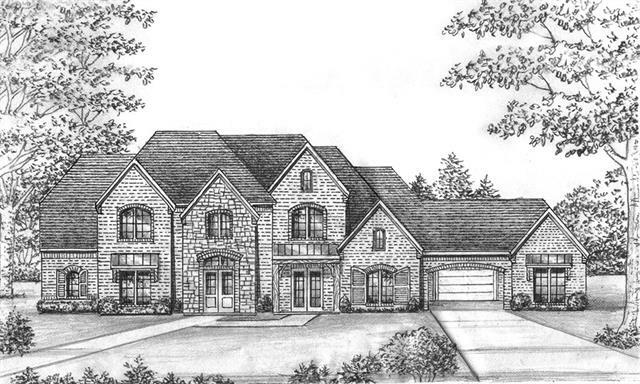 "MLS# 14000630 - Built by Newcastle Homes - April completion! ~ Beautiful 5 bedroom single story 4-car garage porte-cochere home on 1.378 acres. Elegant double iron doors. Dramatic foyer with 3 groin vaults and wet bar. Vaulted family rm ceiling with cedar beams and soaring corner fireplace. Designer kitchen with oversized island, built-in refrigerator and planning center. Lots of wood flooring! Media rm adjacent to game rm with wet bar. Granite and quartz countertops throughout. 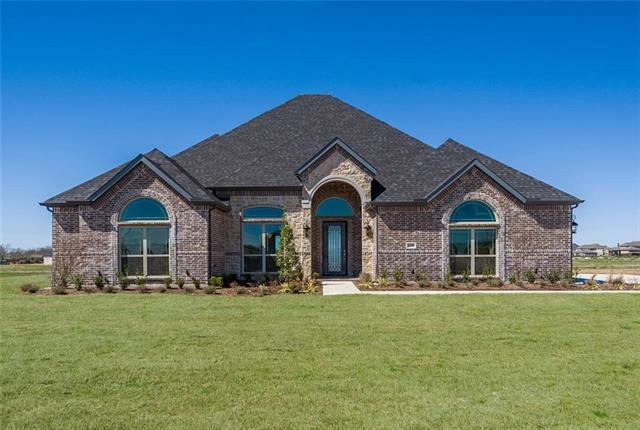 Master Bath with"
"Sprawling 1 story floor plan on 1-acre homesite with wow factor! Vaulted ceilings in the family room with a wall of windows looking out to oversized back patio. Family room opens into a very large gourmet kitchen featuring endless storage and GE appliances. Three secondary bedrooms with game room and media room on the opposite wing of the master retreat. A private 5th bedroom with en suite is at the front wing of the home. Amazing full walk up staircase to giant size storage over the garage. 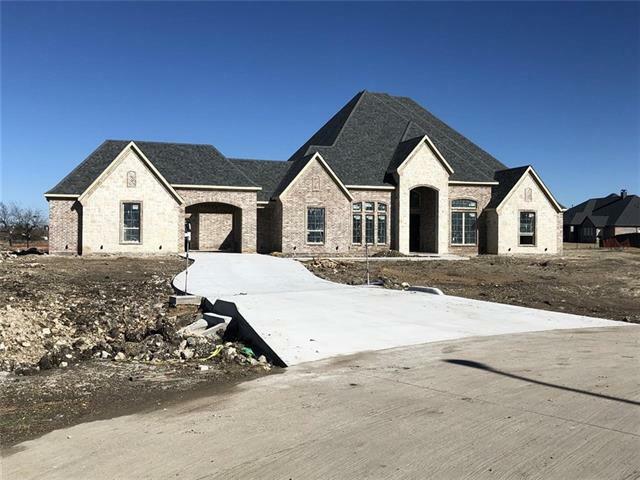 Thi"
"MLS# 13992039 - Built by Newcastle Homes - April completion! ~ Beautiful 5 bedroom single story 4-car garage porte-cochere home on 1.378 acres. Elegant double iron doors. Dramatic foyer with 3 groin vaults and wet bar. Vaulted family rm ceiling with cedar beams and soaring corner fireplace. Designer kitchen with oversized island, built-in refrigerator and planning center. Lots of wood flooring! Media rm adjacent to game rm with wet bar. Granite and quartz countertops throughout. Master Bath with"
"Spectacular double staircase entry on this 2 story, 5 bedroom home! Each bedroom has its own attached bathroom. This home rests on a 1-acre lot. It features huge covered patio to enjoy outdoor living and comes with large mature trees. The family room opens to a very large kitchen and has sliding glass doors that open to the patio. The garages total 4, but the 3 car side is very oversized; large enough for a shop or golf cart." "Fabulous model home design! 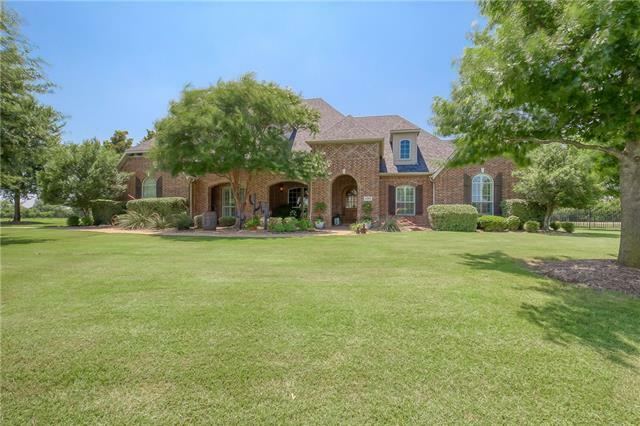 Beautiful brick and cedar elevation on a 1-acre lot with impressive two story foyer. Family room features vaulted ceilings with ceiling beams. Tranquil master bath with freestanding tub and huge walk-in shower featuring dual shower heads. Double master closets that access the utility room. The gourmet kitchen features designer colors, GE appliances and plenty of storage. Downstairs media room with bar area for entertaining." "Luxurious dream home on spacious ONE-ACRE LOT in Parker! 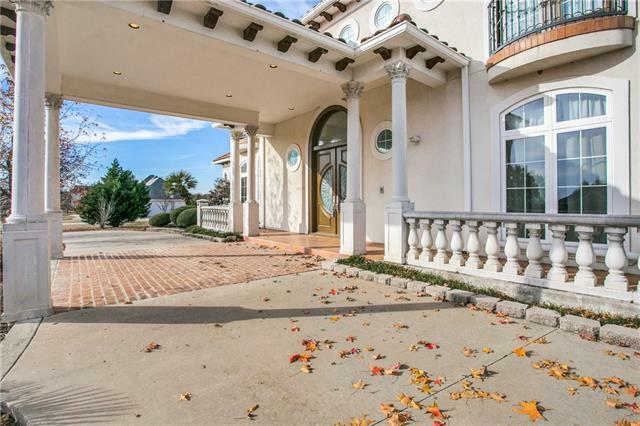 Stunning exterior with extended circle drive, gated porte-cochere & 3car garage. 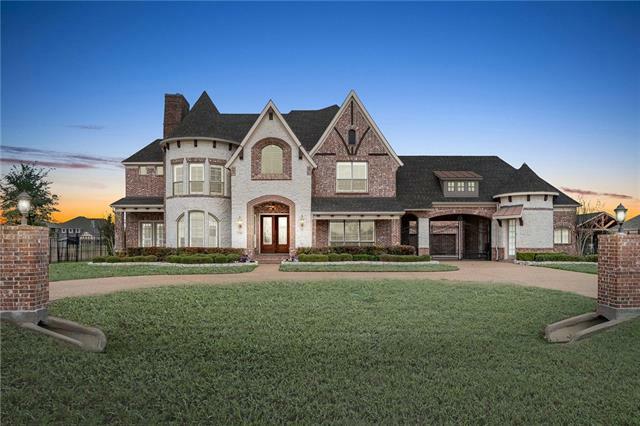 Elegant interior features a striking double staircase entry, HARDWOODS & MARBLE FLOORING, plantation shutters, study, wine rm, exquisite architectural details & BUILT-INS thruout. Gorgeous kitchen has 6-BURNER VIKING COOKTOP, double ovens, GRANITE, large island with seating, tons of cabinet space. 2story family room with floor-to-ceiling STONE FP. 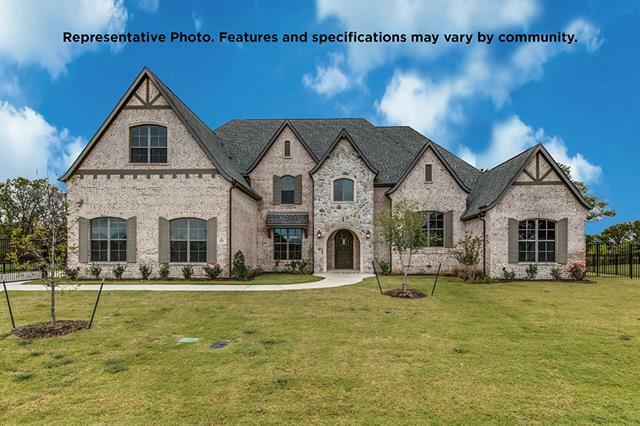 Fabulous MED"
"Drive up to this gorgeous 1-story home with grand, stone elevation. 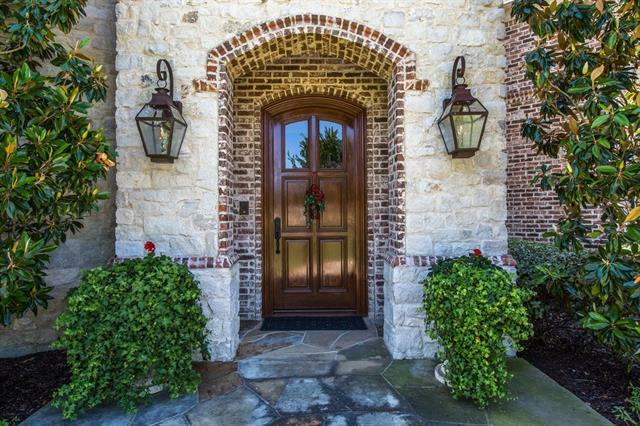 Walk through double iron doors into a bright and light foyer. Foyer showcase groin ceiling, art niches, bar with storage. 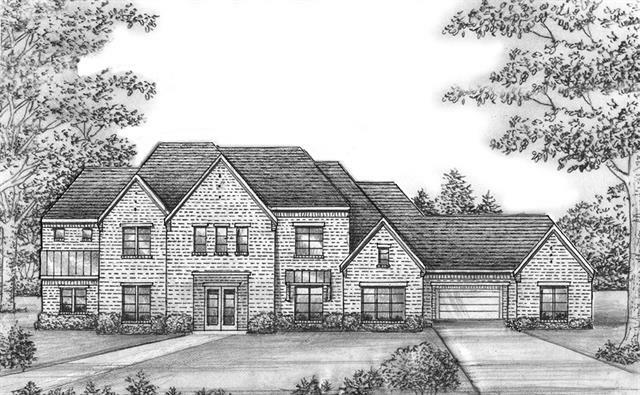 Walk on wood floors to a large study with french doors, formal dining with trey ceiling, family room with wood beam ceiling & stone fireplace. Entertain in the gourmet kitchen with eat-in island, ss appliances & quartz countertops. Relax in the gameroom with wet bar, media room, outdoor patio with fireplace." "WOW! 2 Acre lot! Absolutely perfect for a Luxurious country living within minutes of city conveniences.! Airy Floor Plan Lends Itself To Family Life And Entertaining. 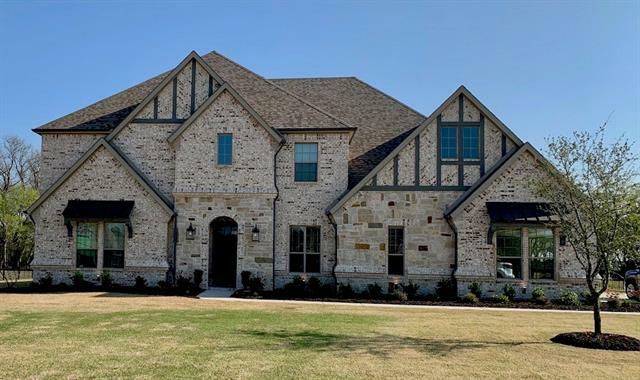 Sophisticated design with all the bells & whistles in this fabulous Over 5900sqft custom w 5 bedrooms + study, 5 full baths, 2 half baths, study, grand master with steam shower, LG Jacuzzi, & WIC. 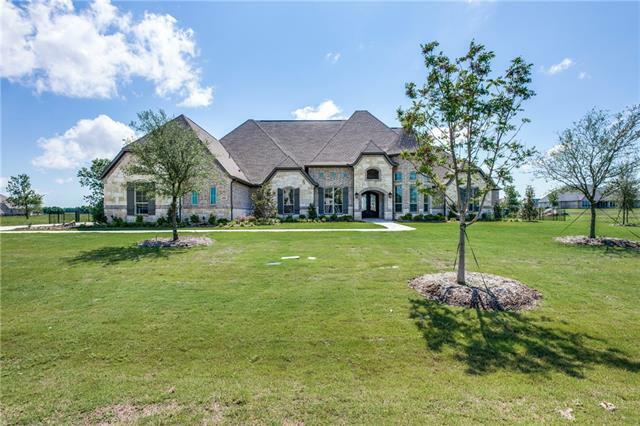 Gameroom, Media, HUGE kitchen, NEW custom colors, extra bonus room for fitness, 4 car garage, gated entrance, pool, spa, outdoor grill, "
"Spectacular 1 story home with a big front porch and 4 CAR GARAGE on a 1 acre home site. Sliding glass doors open to a HUGE covered back patio. Large vaulted ceiling in the family room that opens to very large gourmet kitchen. Each bedroom has it s own spacious full bathroom. Many wonderful upgrades in this open concept home design." "Custom Mediterranean home with semi open floor and vaulted ceilings. Spacious master bedroom has bay windows, the master bath has dual sinks and a walk in closet. There is a total of 4 bedrooms in this home. The formal dining room has kitchen access and the formal living room has a fireplace. There are granite surfaces throughout the home as well as stone floors. In the backyard there are fruit trees and a workshop." "Stunning and Stately home situated on a spacious corner, 1+ acre, lot located in the prestigious Parker and Allen I.S.D. Your family will experience the small town feel with all the conveniences of the city in a safe and secure neighborhood with fantastic neighbors! Enjoy many unique features to this home. Experience riding in your own private elevator as you ascend to the second floor with spacious bedrooms, two full bathrooms and two living areas. Vaulted ceilings, a wonderfully flowing floo"
"Magnificently custom home builder. It built as metal frames &upgrade $100K for the foundation. Attractive front porch columns design. The front door is a beautiful custom design. Front entry has a high ceiling. The house has a double staircase with glass staircase railing designs. Family room has a wood fireplace mantel. Marble flooring on the main floor. Huge kitchen has cabinets with glasses doors, designer backsplash, & upgrade granite countertop. Build-in refrigerator, stainless steel applia"
"Luxurious country living within minutes of city conveniences. 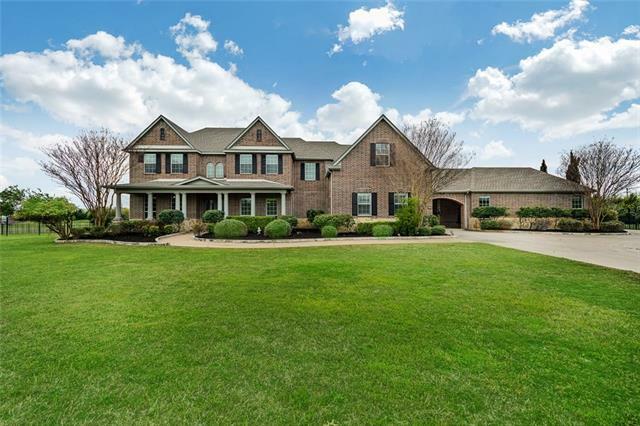 Entertainers dream home is situated on heavily landscaped 1.1 acres offering versatile layout with 5 split BDRMS, 5 baths & study in addition to private media and game room which could easily make for 7 BDRMS. 2 story guest house features living area + game room or BDRM with bonus space & half bath. 5+ garages with sport court driveway. Extensive millwork throughout, spacious light filled rooms, hand scraped HDWDS, plantation shutters"
"NOTHING COMPARES FOR THOSE WHO WANT IT ALL! This wonderfully manicured 1.3 acre property has a Las Vegas style resort pool area, even a pitching green! 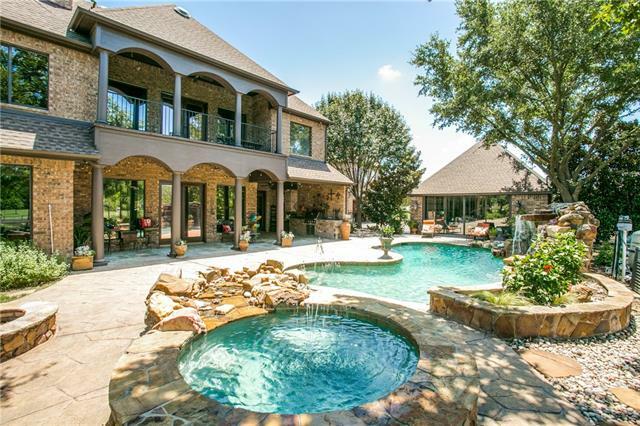 Inside it has all the bells and whistles with exceptional upgrades such as Travertine & hardwood floors, and a media room with full wet bar. Don't miss out and book a showing today!" 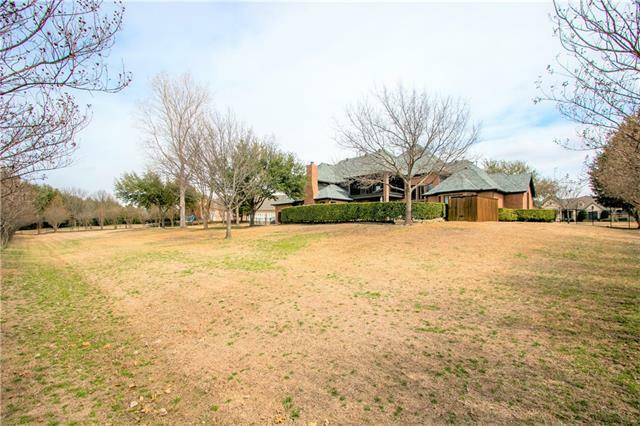 "Gorgeous Custom Home on 1.1 acre lot with mature trees on back of the property. 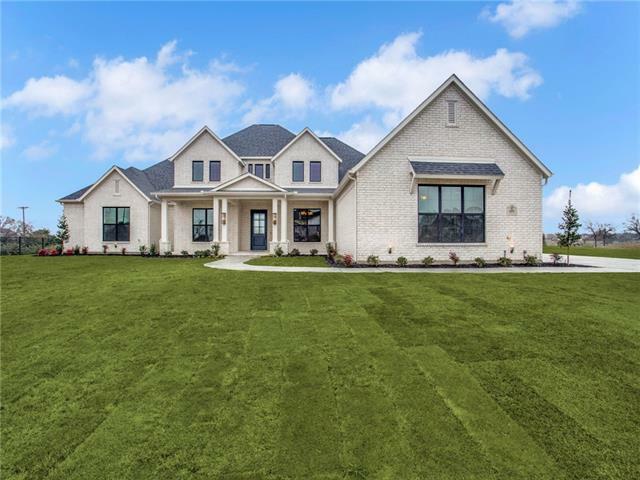 Home was built in 2018 and located in Kingsbridge in city of Parker and Plano ISD. 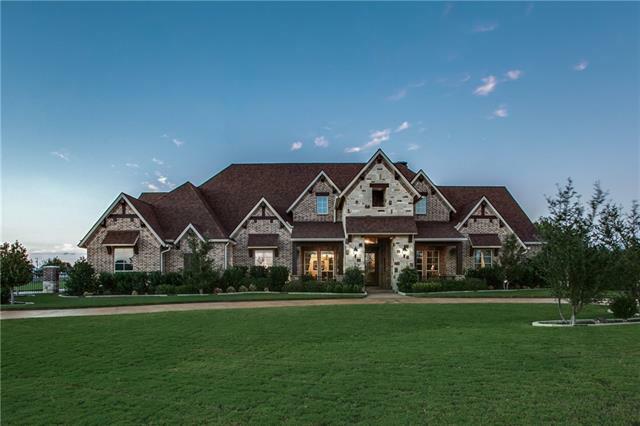 This neighborhood is centrally located just a short distance for Hwy 75 with easy access to Wylie, Plano, Murphy & Allen. Home has lots of upgrades including two 12 foot sliding glass doors that open from family & dining to oversized outdoor living area with fireplace. 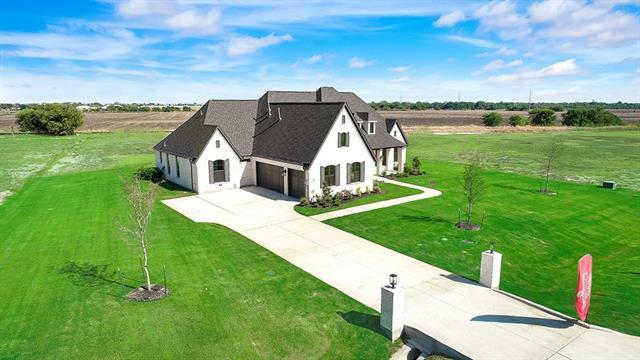 wood floors, gourmet kitchen with 48 inch gas cooktop, luxurious"
"Well-Designed &Sophisticated w-Impressive Craftsmanship, & Proudly Situated on 1.03Acres. HS Hrdwds, Designer Colors, Fab Blend of Stone, Custom BIs, Crown Molding. A Culinary Center That Is A Cook s Delight. Gen Sized Master Suite w-Notable Bath, Cobbler Haven,& Views of bkyrd. 4 add'l Gen Sized Bedrms, w-Walk-in Closets. Karastan Carpet w-Upgraded Pad, Formal Dining has fab views, Prof Study W-French Doors, Cust BIs, Volume Ceilings, Updates Galore. All 3 HVAC Systs Replaced Feb of 2019.Cove"
"Lovely 4 bedroom one story home on one acre lot. Open concept kitchen, sliding glass doors open to a huge covered patio from the vaulted family room. Beautiful hardwood floors throughout main areas. Master bedroom has large his and hers closets. Visit this quiet neighborhood that is quick drive to 75." "Lovely four bedroom one story home on one acre lot. Open concept in kitchen, causal dining and family room with formal dining. Beautiful hardwood floors create a luxurious feel anyone would want to come home to. A quiet neighborhood is a plus!" 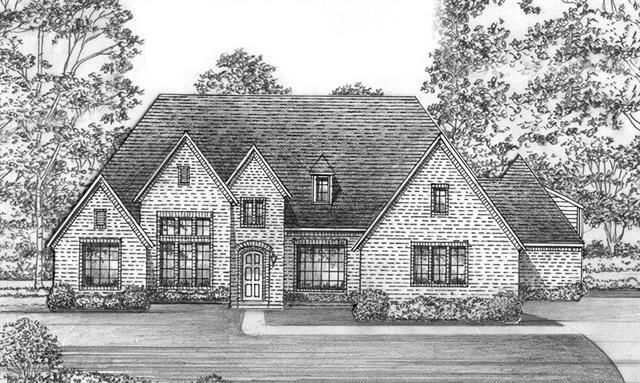 "MLS# 14052075 - Built by Gallery Custom Homes - December completion! ~ Gorgeous large one story home on a large acreage lot!. Open ranch style home with large bedrooms, open floor plan, with separate game and media rooms! The home has an inviting double Iron door at the entrance that opens up into a foyer and all hardwoods living areas! The study has 8' barn doors that open up in to the family room. The chefs kitchen is amazing with cabinets all the way to ceiling, with glass doors and light ins"
"MLS# 14036519 - Built by Gallery Custom Homes - Ready Now! ~ Gorgeous open floor plan featuring a chefs kitchen with huge California Island! Split bedroom plan with the study towards the back for privacy! If you enjoy outside living, this home boasts a huge double covered patio with gas drop for an outside kitchen. The patio opens up to the huge two acre lot!! This yard is perfect for all of your outside living needs!"